The Amed Gili Air ferry route connects Bali with Gili Islands. 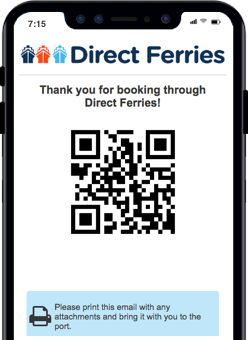 Currently there is just the 1 ferry company operating this ferry service, FreeBird Express. The crossing operates up to 7 times each week with sailing durations from around 1 hour 30 minutes. Amed Gili Air sailing durations and frequency may vary from season to season so we’d advise doing a live check to get the most up to date information. Amed is made up of a long coastal strip of fishing villages on the popular tourist island of Bali. The west Indonesian island is rewarded with an all year round tropical climate as it sits just south of the equator. The tropical conditions can be enjoyed from the silk sanded beaches which line the coastline. The east Bali town is famed for its scuba diving and snorkelling, offering diverse marine life and coral-laden coast. It’s an underwater playground for ardent divers and adventurous travellers, with the relaxed atmosphere making it the ideal place for a rustic Bali retreat. The coastline is lined with colourful outrigger boats and the shoreline offers the perfect spot for dramatic sunrises which reflect of the glistening Balinese waves. The ferry terminal is small but ideal for island hopping visitors who are heading east to the Indonesian province of West Nusa Tenggara. Public transport is limited in Amed but you can get around in Perama shuttle buses which you can privately hire locally. The road network is minimal with travel to neighbouring towns limited to a single narrow road between them. 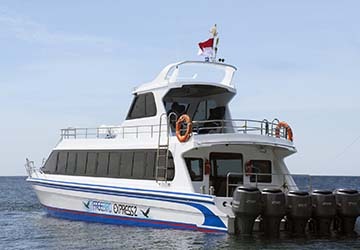 There are regular fast ferries to destinations in the Coral Triangle, the richest centre of marine life in the world. Amed regularly services Gili Trawangan, Gili Air and Bangsal with journeys ranging from an hour, to an hour and a half in length.